Last month I did The Fast Metabolism Diet, a 28-day meal plan that promises up to 20 lbs. of weight loss. The premise is that by eating certain foods in phases, one can reset their metabolism, undoing years of damage caused by processed foods, caffeine and alcohol. And yes that is a hint: you can't have processed food, caffeine or alcohol during the diet. Cheese, soy, corn anything, refined sugar and wheat are also off the list. So why would I do this to myself? One word: Coachella. We leave on Thursday and I'm happy to say that even though I've been off the diet for a week and a half now, I've kept off the 13 lbs. that I lost. Which is good since I promptly bought a ton of Coachella-worthy outfits in my new size during a champagne-induced haze once my 28 days were up. Would I recommend this to just anyone? No... there's some aspects of this meal plan that really aren't for everyone. And at times, it was tough. But the results went beyond my weight loss... this diet made me a better cook, more conscious of how and what I eat, and, I dare say, permanently changed my relationship with food. Which is why I decided to put together this post to help you make your decision before you try The Fast Metabolism Diet. First things first... without the following list, staying true to this diet will prove to be VERY difficult. In order not to sabotage yourself, you'll need to make sure you have this stuff beforehand. The weight loss! It happens for everyone at different times, some all in rush (like me losing 7 lbs the first week) and sometimes just barely (1 lb in Week 3). But when it does, and especially seeing how much you've lost at the end after still eating so much, it's glorious. Breaking an addiction to caffeine.. there's nothing like fighting caffeine withdrawal and coming out on the other side. Perfecting yummy new recipes like the Chicken and Quinoa Risotto and the Chicken Barley Soup. All the fresh, real food. Learning how to properly eat -- I went from Cheez-It's and Red Bulls for breakfast to cooking myself an egg on sprouted grain toast or making a smoothie before leaving the house. The Grocery Store. It became my second home. Phase 2 of every week. The Meat and Veggie Phase. I never want to see jerky again. Feeling like a shut-in and an outsider because I can't just casually do whatever my friends are doing since I have to rush home to prep or heat up a meal. Being the only sober one at a party. Not being able to run when I actually want to because it's not a Phase 1 day. Caffeine withdrawal - it was almost unbearable. People who don't like to exercise. I said it! Haylie recommends you do 3 specific workouts a week to maximize the benefits of the diet, but I could barely fit any in. 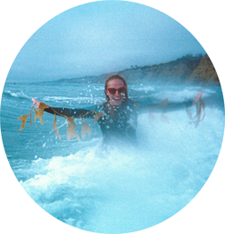 I went hiking twice and did bikram once throughout the 28 days. And I still lost 13 lbs! People who LOVE to cook. Because guess what? You'll be doing a lot of it. People without regular access to a full kitchen. Hey, I shared what could almost pass for a kitchen with 13 other grad students when I lived in NYC. It happens. People with crazy work schedules or odd hours. This diet was exhausting to do with a regular 8am-5pm job. You have to really want to do this to prep all your meals beforehand and be able to heat them up or keep them cold in time to eat them with a weird schedule or outside of an office environment. Party animals. Look, I barely made it through the dozen or so social functions I went to on this diet. If your social life is really important to you, this is not the diet for you. This is for people who can deal with being a virtual hermit for a month. Anyone training for a fitness thing. For those people out there who may want to start this while training for half or a marathon or some other kind of event, don't. Wait until after. Your body needs more carbs than this provides and workouts are restricted. People who don't want to do it. Sounds obvious? For more on what I mean by that, read this. The vicious cycle of caffeine and alcohol are responsible for 60% of the weight I've gained as an adult. Sound weird? Aside from the fact that alcohol is just a bunch of sugar, I spent most of my days eating foods that would comfort my hangover: California burritos, pizza, penne bolognese, cheese, chips, french fries... you name it. Less so because it was convenient and more because it made me feel better after a night out with friends. The caffeine helped me through the lack of sleep and therefore left my body with no time to recharge. Also: I haven't had one drop of caffeine since and no cravings for it either. Processed food is responsible for the other 40%. It was literally all I ate. Sometimes I went weeks without cooking a healthy meal for myself and to substitute for that I would just down a box of Cheez-Its or heat up some pasta with jarred tomato sauce. My eating habits were literally terrible. Breakfast is really important. I never got shaky or weak once on this diet, which is something that has happened to me every day since I was a kid. You know what I haven't done since I was a kid? Eat breakfast. I never got hangry either. In fact, while constantly thinking about food was annoying at times (most of the time), overall my mood was more even keel. I also don't get headaches anymore, something that I used to get a lot. Plus, I have a fairly consistent energy level throughout the day. I was wasting a lot of money on junk. When I add up all the snacks and Red Bulls I bought at convenience stores and all the times we went out to eat, it had to be way over the $300 or so I spent at the grocery store that month getting all healthy, fresh foods. As I continue to loosely follow this diet forever, I'm sure I'll get even better at shopping for the month. Since I've been off, I've worked alcohol, cheese and chocolate back into my diet, but that's about it, and even those things have been in moderation. I've tried to stick to a mix of Phase 1 and 3 meals and snacks and so far, it's been great. I even lost another pound! Which is why it's safe to say that for me, FMD is here to stay. Are you interested in doing The Fast Metabolism Diet? I'm happy to answer any questions about my experience in the comments! Thanks for the overview...I laughed because I'm starting this, AFTER Stagecoach. Have a great time at Coachella! I am starting on Monday. I am dreading it yet looking forward to it, if that makes sense. So ready to feel better and to lose weight. I started this diet in mid-February because my OB/GYN suggested it. I did 3 rounds with only one week between the 2nd & 3rd. Been "off" of it since June (meaning I eat kinda the same stuff, just not as regimented). I lost 50lbs on the diet and another 10 the month after. I've maintained and now I'm ready to start one more cycle to get off the last 15lbs. Started at 217. It literally has changed my life, my husband's life and my kids. They see me making much healthier choices and they love the food too. YES! I do love it, but I also HATE Phase 2. Mostly, I miss my grains because they keep my full. I wish that I had had this guide before doing it rather than figuring it out along the way, but now that I'm eating this way permanently, it feels second nature. I really just want to say thanks for your review. My aunt bought us the book because she and her dad lost weight while doing the diet and my fiance and I became interested. We have been trying to lose weight together forever but things always get in the way. Finally we have committed to it and have started it today. I like that you put the pros and cons. I was trying to find a good review, and until I read yours I found none. There was a lady on Amazon that complained about EVERYTHING in the book, and it made me want to stop. However, reading yours I look forward to the things to come. hi can you provide some advice on portion size for breakfast/lunch/dinner? just completed the diet - 28 days - and lost 10 pounds. not too heavy to start with, but wanted to lose the pesky 5 or 10 that I had held onto forever. It worked, and was well worth it. My experience was much like the blogger's. Biggest changes: no coffee, no cheese, no wine. Whine!Better eating, more energy. It works. Do it. worth getting the book as a resource; used it daily. try the stuffed peppers - yum!! I am just starting the 4th week of this diet and it seems to be working well. Lost 10 lbs, lowered my blood sugar, have more energy, joints no longer ache and I have saved money (no more Starbucks lattes!. I have some of the same cons as you.. Mt Everest in dishes, hanging out at the grocery store and cooking up to 3 meals when I get home from work. I am sticking with it because I have lots more to lose. You are so on target with your post. Dishes for days and running to the grocery store constantly were what I experienced. I have lost 17 pounds and am still on it hoping to lose some more! Best decision I made was sticking with this plan for the full 28 days. I just wanted to lose 5 lbs. Those 5 lbs have not budged in over 15 years. I happy to report that I lost 6 lbs. and I ate all the time. It has been 2 weeks since the 28 days and I even lost one more lb. It was tough in the 1st and 2nd week but so worth it. I, too, have added back in an occasional drink but always have a large glass of water right afterwards. I am telling anyone that seems a bit interested in losing weight about this plan (I do not want to say diet because I plan to eat like this forever. To me a diet is temporary). There was really good advice in this blog. I also joined the Facebook 'closed' group for FMD. I got a lot of support and more recipe ideas. Good luck everyone who gives it a try. You won't be dissappointed. I have been on this diet for almost 1 month, I am in my last week. I have stuck to this diet 100% and I haven't lost anything. I haven't gained anything either, so what do you think might be keeping me from losing the pounds? So I am currently in week 2 right now. My issue is I feel HORRIBLE! I really thought I would be feeling GREAT by now! I was already pretty used to not eating sugar or gluten so the only things cut out of my diet has been dairy and corn. I actually have had to break down two times and have a half caf coffee. (Before this, I only drank 1 or 2 cups a day) But I feel so tired and foggy. Advice anyone? The book is on its way to me! Your article was very helpful! Thanks... I have to go back now and click on all your great links. Thanks for those. I gained a nice fat 20 lbs. about 17 years ago and I'm trying to send it packing. Hoping this diet is a way to lose that and change my tired metabolism. Wish me luck! Hi everyone. I'm a 36 year old woman with type 1 diabetes. I am 20 lbs overweight. 148 lbs at 5 feet 3 inches. I need to lose this weight. I am ready for this diet but I absolutely cannot give up the coffee. I have 2 cups a day but the withdrawal is so bad. I can't stick to it. If i still drink coffee will the FMD work??? I hope you have great success!!! Hello, I enjoyed your insightful comments. I began the FMD on August 1,2015 due to extreme arthritis pain in my hands and back. Instead of cortisone shots, I opted for this anti-inflammatory diet. The first 3 weeks were tough but by the fourth week the pain was gone in hands and back. So I stayed on it faithfully til Dec. 1 when I began adding a few treats. If I over indulged in sugar, my hands ached. So I backed off not letting them get to the throbbing stage. Nothing tastes as good as having the use of my hands. I'm 68 years old so you can teach an old dog new tricks. I lost 23 pounds without effort and my body has reshaped now that the belly fat disappeared. I've grown lean and strong which feels wonderful. I have tried many diets over the years and this one is the best as far as feeling energetic, satisfied, and not craving sweets. I will be on a version of it to continue enjoying the joys of being pain free. The only thing I cheat at is drinking coffee. I add some almond milk and don't look at it ( makes it murky). But I drink a glass of water before my feet hit the floor. Also, I don't have that many dirty dishes, because I keep it pretty simple. I don't need to go out and buy one of everything on the food list. I can stand to eat 2 nights in a row of steak and broccoli or other meals, so I just keep stuff on hand that falls into the 3 Phases. But it is pretty easy to follow once you decide that THIS IS IT- I CAN DO THIS! I am on week 3. I've been 100 percent "on", no cheating. I lost 15 lbs the first 2 weeks. Don't worry, I didnt believe it either. I had to step on the scale TWICE ! No matter, I feel like a million bucks. I started with 60 lbs. to lose. I'm mid-50's and wished I'd had this plan my whole life. I GET TO EAT ! I really get to EAT. A lifetime of deprivation just makes me sad. I went on a date once and he wouldnt even buy me dinner (stupid guy !) I love learning to lose weight, you have to EAT ! I too, will be on some form of this diet after I lose the 60 lbs. I love organic, wholesome foods. Yes, I too dread stage 2, but I dont dread the scale... so I don't mind it. Thank you Haylie Pomroy !! Is tea allowed? My husband is British we drink tea in the mornings. I also sweeten things with agave because of its low glycemic index. Is agave allowed instead of Stevia? I already have to eat GF so this is a lifestyle I'm already use to. But that 5-10 lbs of weight would be awesome to drop! My husband on the other hand needs to drop 50+ lbs but he travels every week and no access to a kitchen would be a deterrent for him. One wonders when there I'm doing the diet correctly on phase 1 I just drank cold house smoothies? I also hate phase 2, but the garden meatballs are a good alternative to jerky and the blog posts recipes sometimes. I got one for lemon jello squares that work as a phase 2 snack. I am on vacation in NYC and watching my people eat whatever whenever while I stick to the plan the best I can in a hotel room. Not that fun. However, I lost 60 pounds last time I did it and I need to do that again. So I am committed. Good Luck to all who go on the plan. I really like the way I feel when I am eating healthy. Sleep is better, joints don't ache as much. She is right you never get hungry so it is easy to stick to in that way and the food recipes are mostly really tasty. The chili is great and I really like the pasta sauce and long and slow beef stew. Hi guys, my sister sent me this book and the recipe book 6 months ago. I could not wrap my head around all the recipes all the cooking and all the dishes and all the restrictions.finally, I got the app, I think it is free. It is so easy each day opens up and tells you the foods to choose for breakfast snack lunch snack dinner . It also gives you the quantities. I've been dieting for the past five weeks using Fooducate and watching my weight watchers points and calories and recording everything I eat, and only lost 4 pounds. I started the fast metabolism diet three days ago and I'm down another 3 pounds. Mind you this is after dieting for five weeks. There is something about this program that really works. So start simply. Boil up a bunch of eggs and have egg whites available, put a tray of chicken breast in the oven, buy some tuna fish. For the grains I ate the one approved bread -the sprouted grain bread pulled it out of the bag and I toasted it and it's delicious. I know I can really get into all the cooking but my son is a vegan and it just complicated to make so many different meals. They do have vegan recipes and I'll let you know if I have success with them. I don't think it's so hard to have snacks available. I love the fruit in phase 1, and honestly I stuck to frozen organic food from Trader Joe's . I ate it frozen or I heated it up -whatever I was in the mood for. An afternoon snack of frozen cherries is actually quite delicious and satisfying. Like eating a popsicle or something. I think anybody should try this diet. I'll come back in four weeks! Hi, this is my first week and I have cheated several times. Each day I get back on track and then I will have six meals instead of five (berries with cream); rice rollers. Help! My biggest issue is habit, not hunger. Has anyone had this problem and, if so, how did you overcome this? Thank you. Thanks for posting this guide! It is full of helpful tips. 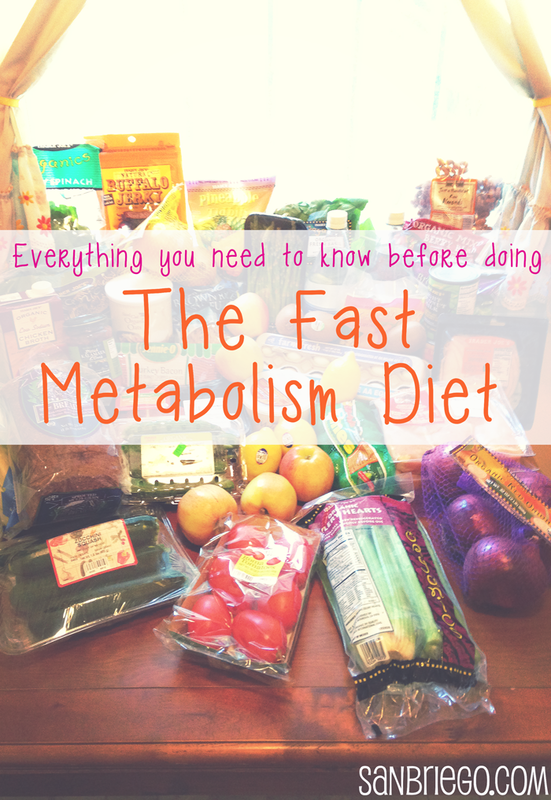 I just started the Fast Metabolism Diet this week, and I am hoping it will be helpful for me. I actually started this diet when I was sent the book, I bought her other book the Fast Metabolism Rx Diet to help with issues. My boyfriend started it with me, without me asking by the way, He lost 20lbs and I about 18lbs. Now, I will say that he doesn't drink booze but he drinks coffee and never stopped completely through the diet. I was fine as I only drink decaf tea. If you are serious about losing weight this diet is great. Anything worth something is not going to be easy. We did have to shop once a week and cooked once a week. I never used a slow cooker and did just fine. There are recipes that I didn't like but that's ok, can't like them all. We still after 2 mths eat similar during the week but we have more fun on the weekends. I lose about 1 lb per week if I don't over do it on the sweets. After our vacation, we are going to do it again being strict to the 28 days as I want to loose another 10lbs. but we have only 21 days until the next trip with friends so I will see if 3 weeks will do the trick. 3 woman at work tried the diet as well when they saw my fast results, 1 was on weight watchers but found it difficult, the other had a busy life so the timing wasn't going to work and the last one completed the 28 days and lost 12 lbs but she has health issues and has to take meds that keep weight on so she was very happy. I'm 52, have always been athletic, a mostly healthy eater, I like to cook healthy meals and I can have great determination and will power but for the past year, the scale is not my friend....thank you menopause! I am at that age where my metabolism and hormones don't cooperate anymore. I tried going to my doctor, we did the blood panel and he prescribed hormones. I took them for 1 month and I promptly quit. I felt worse! Fatter, bloatier...it was awful. I can deal with the random hot flash, it's the weight gain I hate! It's in places I never carried weight before, too. So frustrating! Even if I work out 5 days a week and watch what I eat, drink water and have the occasional cheat, the only changes I get on the scale and in how my clothes fit were from the cheats and I'm sure you know which way the numbers were going! This was my "what do I have to lose but maybe some actual weight?" throw caution to the wind and go! So, I bought the book on a Saturday and started the diet on Monday. I have about 20lbs to lose. Phase 1 was an adjustment for me because I had been mostly Paleo for a couple of years so the idea of eating oatmeal and fruit and sprouted grain bread and tortillas and beans was both scary and liberating. I really enjoyed scarfing this stuff down and I felt great and happy! I missed my occasional coffee and 5 hour energy but I sure loved the food! Phase 2 is mostly protein and veggies, so "Hello-Paleo"! I was accustomed to it but I will admit, after the first 2 days of carb loading, I was kind of unenthusiastic about it. I managed to make things as tasty as I could and just enjoy eating clean and it was only 2 days, 6 meals and 6 snacks. No biggie. Phase 3 was great! It is a combo of 1 and 2 but you get to add healthy fats. So it was very satiating. By the end of the week I dropped 4lbs! I only worked out 1 day and kind of worked in some activity the rest of the time but this is the first time the scale has moved to the left in a looooooong time, so I am really excited! Today started week 2, so I'm in heavenly Phase 1 again. I feel fantastic and tonight I will be working out after work. I have to say, I am sold so far! My body is responding and I'm eating A LOT!!! It does take planning ahead, I plan out my day the night before and write everything down so that the next day I go right to the plan and make that recipe. I work from home, so I have that flexibility throughout the day to get into the kitchen to make my meals and snacks, but it could definitely work for someone willing to put in the effort by prepping meals to take if you work or go to school. One helpful tip, make extra during week 1 and week 2 is much easier! I LOVED your review! I completed the 28 days and lost 11 pounds. I am a vegetarian too, I must be the only one who need to lose weight. Like you though, I was a non breakfast eating, processed food snacking, evening adult beverage drinking... type of vegetarian. And yes, phase two is the worst! I solved the phase two challenges by making protein smoothies. The only real food for me was egg whites, which I can't stand in any form! So it was two days of smoothies and lots of greens and hearty salads. We had company come stay for two weeks, so I took a break (gained back 3 pounds) ate lots of yummy stuff and had adult beverages again. I'm back on it again for a second round come Monday morning. I also agree the caffeine withdraw was very serious! The second day I ended up in bed by 5:00 with a splitting head ache so bad I thought I was going to vomit. Needless to say I have NOT reintroduced caffeine back into my system with the he exception. Of a few sips of my husbands in a moment of weakness. Anyway, thanks for the review! Wish me luck in round two! Loving all the success stories guys! This diet is the real did... just finished another 7 weeks of it last month and I felt better than ever. 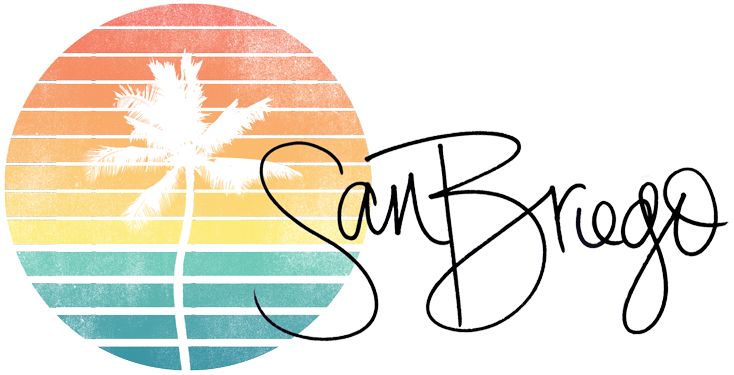 Keep up the great work and don't forget to email me at sanbriego@gmail.com if you have any questions! Thank you all of you I could read this. Now I am: Week 1st - day 4th. First day - caffeine detox - omg! headache all day plus muscle pain. Day two - foggy, foggy, foggy, and weak, it was hard to speak English, I couldn't find words or make sentences (my native language is Polish). Day 3rd and 4th - I feel terrible. I have no energy, I am weak, irritated, foggy, tired. On Tuesday I usually run 8K - this week, 5K was a challenge for me. However, I will keep going! Just wanted to tell about the results that I received since starting the FMD. To begin, I was not alone, my diabetic husband decided that he wanted to join me. What a surprise, usually he complains and by 8:00 the same evening, he is eating an ice cream sandwich. Well to my surprise, he has hung in there like a trooper. We have been on the diet for three weeks and with no exercise, he has lost 20lbs to my 10 lbs and I go to the gym four times a week and burn 300-400 calories on the treadmill. Don't think that we are hugh because of the weight lost, we aren't, its just coming off like it is suppose to. Also, my husband's sugar was always between 250-410 (this is considered very high and dangerous) and I found the foods I gave him were not working. It was later that my daughter told us about the FMD and we decided to give it a try. Within three weeks, his sugar has dropped down to 100 than to 98 which is normal. His doctor wanted him to take insulin because it was so high, however that won't be necessary. One serving size of fish is 6 oz. Wanted to share my FMD experience with you. So, it's day 30. My last day of the plan was 2 days ago. In total I lost 14-15 LB. The reason why I mentioned 14-15 pounds is because on day 29 I lost a total of 15 pounds. On day 30, it went down to 14..grrr,, that's annoying. Anyway, lets take a step back. I feel great, every-time I stood on the scales with my over hanging stomach and feeling rather anxious about whether or not I've lost a pound is what would had my heart racing. I looked forward to the following two things during the 28 day plan. The joy - the great feeling inside you when you see that you are losing weight. Is this real, please pinch me.. It may not sound alot, however for me it was about refreshing my metabolism, (hopefully it has worked), eating alot more fresh foods and starting to change my whole lifestyle. It has surely been a great improvement. You're reading this message from a guy who is in his early 30's, hasn't been to the gym for 3 years but in theory looks like he hasn't done any form of exercise in the past 8 years. Who would of thought, I went to the gym for the first 2 weeks, 6 times a week. And then the last two weeks I've been going 5 times a week. I found that going for a 40 min workout before work was alot better for me. After work, I could then come home and chill. My wife was surprised as I was, when she actually saw me get of the bed at 6am to start my NEW daily routine. I'm a sucker for sweet stuff. I could eat a whole big bar of chocolate by my self.. Hmm cadburys chocolate is always good. This was one main thing that I really missed during the diet. That said, when I was craving the sweet stuff, I would only have to wait a day or so and i'd be on the phase where I could eat cherries, mangoes etc.. That kept me going. As alot of people have said, the first few days are the toughest - the headaches. I kept on drinking plenty of water. I also started to drink herbal teas..something that I've never been to keen on however I've adapted well. Every weekend I would prepare my meals for the following week. If I had my 'work' meals arranged, the rest would be easy. Preparation takes time however it's definitely worth it. If you are planning to do FMD, I highly recommend preparing your meals in advance. I find that phase 3 meals are the most time consuming to prepare, however always enjoyable to eat. Sweet Potato Wedges with olive or coconut oil. Highly recommend it. - Microwave the sweet potato for 10 mins. - Place them in the oven for 10-15 mins. To be honest i'm not to sure what to do next. I think i'll continue eating healthy, thinking of the right choices and try and lay off coffee as I didn't feel so good when I had half a cup yesterday. Im on week 2 day 2 and its going great!!! The APP you can get for the diet is AWESOME!!! Is has been a life saver for me.....it was something like $4 and well worth it!!! Im not sure I would have been able to do this with out it. The APP helps you track your water intake, makes sure you getting all the required food at each meal/snack, tells you what foods you can have in each Phase and makes sure you eat at the right times as well as many other features. It can also auto populate a grocery list for you after you plan your day meals/snacks. I love this APP and would consider it a very use full tool for this 28 day plan !!!! After doing Weight Watchers for 5 months with an average weight loss of 1 pound per week I hit a long plateau. I decided to try the FMD to kick-start my weight loss again. I lost 9.8 pounds in the 4 weeks and couldn't stop doing it knowing I still have 17 pounds to go. I also highly recommend the app. I did weekly meal planning and rarely went to the grocery more than once a week which was a much needed positive change in our house. When my husband isn't traveling for work he generally eats on plan with me and he has been enjoying the food right along with me. This has been a great education for me, and a good reminder that the best food is the made from scratch food found in my very own kitchen. My husband I have done both diets, the fast metabolism as well as the revolution diet. Both were good but we did best on the Metabolism diet. The revolution diet was very strenuous and we did not lose much at all. it wa very costly as well. If I will be truthful, I did not do the exercises as I should have. That could have been the reason for not much weight lost. The food was so much it made me tired. Should have drank more water. However, I took the eating with me to the metabolism diet, the part about eating within thirty minutes after waking up and keeping the body burning by eating every 2-4 hours stoking the fire all day also going to the gym and that worked. His sugar stayed down from upper 200 to 101 and 98,while my blood pressure and swelling of my feet and legs went down. We both lost 15lbs each in 4 weeks. I only lost 4 lbs for the 3 sessions of Revolution diet. The rest was on Metabolish diet.